Clipping Magic は、髪の毛をクリーン で 明確に異なる 背景から分離します。 階調や若干のノイズは、関与する色調が十分異なっていれば通常うまく処理されます。 スタジオで撮影された写真や真っ青な空を背景とした写真も通常うまく処理されます。 Busy backgrounds do not work as well, or require a fair amount of labor to get a decent result. 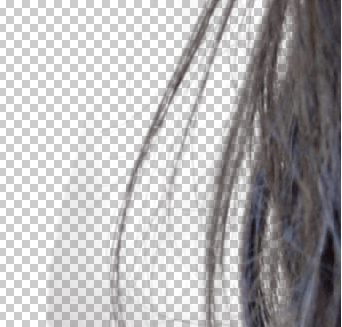 This tool takes a bit of time to master so we’ve supplied a tutorial video, as well as written instructions; plus tips and tricks to really master clipping hair! 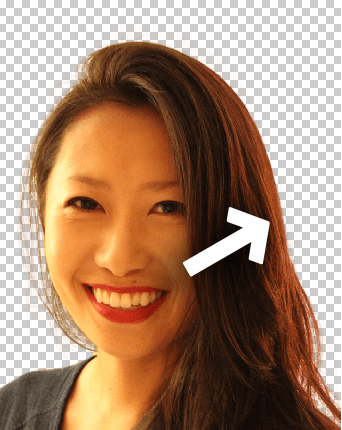 髪の毛は、顔の左側と右側で違った色になることがあります。 The same is true for the background. 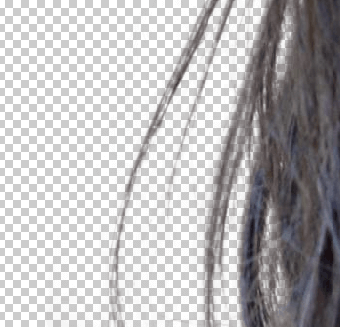 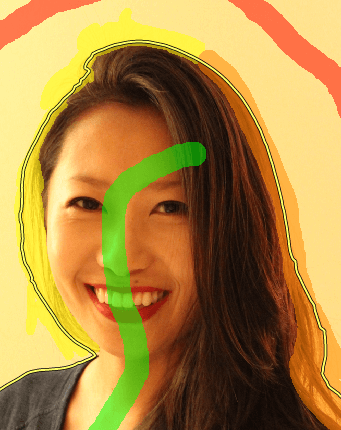 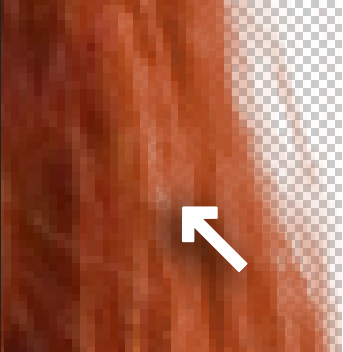 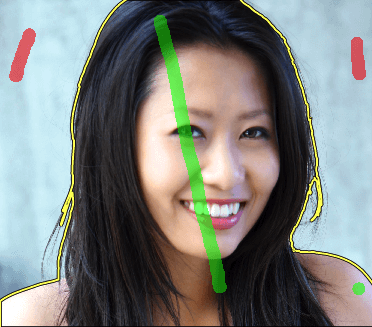 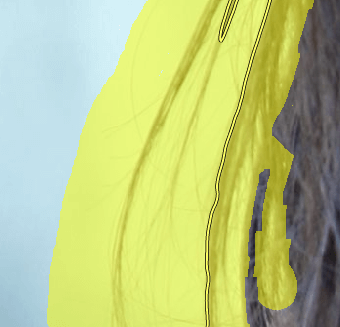 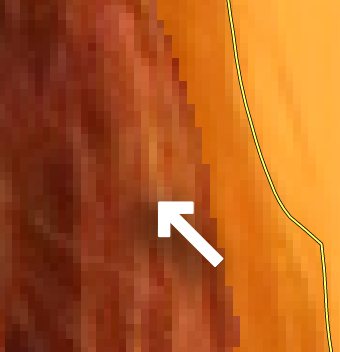 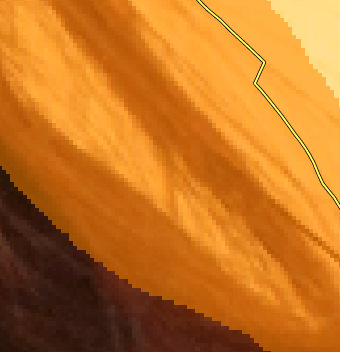 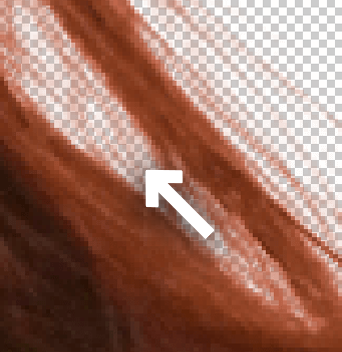 If you include too light of a color in the foreground, the partially transparent pixels at the edge of the hair can be mis-classified as lighter than they should be and cause a halo effect. 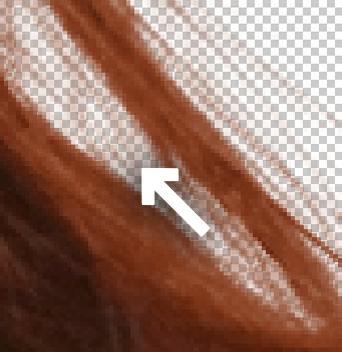 To resolve this, you can either try using a separate Hair Brush for the lighter section of the hair, or you can remove the highlight from the light section.